Henry Archibald Hertzberg Lawson was an Australian author and poet. Along with his contemporary Banjo Paterson, Lawson is among the best-known Australian authors and fiction writers of the colonial period and is often called Australia's "greatest short story writer". He wrote short stories and ballad-like poems, illuminating the lives of rural, working Australians. Lawson had a difficult childhood. His father, Niels (also known as Peter), a Norwegian immigrant, spent much of Henry's early years searching for gold, leaving his mother, Louisa, on her own much of the time. Beginning at a young age, Henry had to shoulder a lot of responsibility in caring for his family. After his mother helped establish a school in their area, when Lawson was around the age of 8 or 9, he began his education. He experienced a personal setback, however, after an illness left him partly deaf. Henry Lawson only had a few years of schooling, leaving him sensitive about his educational background for the rest of his life. Henry Lawson joined his mother in Sydney after she separated from his father. There, he published his first poem in 1887. Inspired by the riots against the monarchy during Queen Victoria's jubilee, Lawson wrote "A Song of the Republic," which appeared in the Bulletin. Lawson soon wrote poems and stories for other publications as well, including "Andy's Gone with Cattle," and even became a journalist for a short time with the Brisbane Boomerang. Henry Lawson landed a book contract with Angus and Robertson. Through them, he published the poetry volume In the Days When the World Was Wide and the popular short story collection While the Billy Boils—both in 1896. Around this same time, Henry Lawson met his future wife, Bertha Marie Louise Bredt. The pair wed in 1896 and eventually had two children together, son Joseph and daughter Bertha. In 1900, Henry Lawson went to London, England, with his family, hoping to become a literary sensation, but the trip proved to be a personal and professional disappointment. Lawson did, however, manage to write four stories featuring Joe Wilson during this time—considered to be among his best works of fiction. In 1902, Henry Lawson moved back to Sydney with his family. He was so despondent that he attempted suicide that December. The following year, his wife officially separated from him. Hentry spent his later life struggling with mental health issues and alcohol. He ended up in jail on occasion for public drunkenness and for failing to pay support for his children. Henry Lawson died of a cerebral hemorrhage on September 2, 1922, in Abbotsford, Australia. After his death, Lawson was heralded as one of the country's leading literary figures. He was even given a state funeral, which was attended by a number of prominent officials. A bronze statue of Henry Lawson accompanied by a swagman, a dog and a fencepost (reflecting his writing) stands in The Domain, Sydney. He was featured on the first (paper) Australian ten dollar note issued in 1966 when decimal currency was first introduced into Australia. 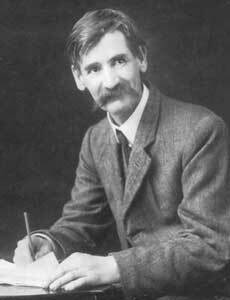 Nowadays Henry Lawson is considered as one of the best Australian authors and poets.